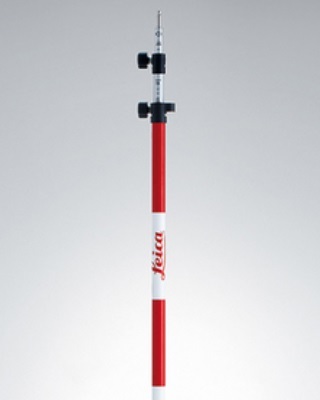 GLS112 12' heavy duty aluminum reflector pole with 8" red/white graduations for high visibility. Fitted with Leica stub for Leica's snap-on prisms. Twist lock provides easy and secure tightening. Graduated in cm and ft, min. length 4.82 ft (1.47m), extendible to 12 ft (3.60m).